Local SEO software helps businesses promote their product or services to local potential customers. These tools help businesses to get into the Local 3-Pack, which is a group of listings at the top of a Google page in a separate list and accompanied by a map. Local SEO tools may perform functions such as sending accurate listings to search engines and making mass edits across the board when business information changes. These products are often used by smaller organizations with a brick-and-mortar location who need to increase brand awareness. These tools often integrate with social media tools as Facebook and Twitter. Businesses may want to take advantage of tools such as content marketing software and inbound marketing software, so that customers will visit their page after it pops up in the Local 3-Pack. Organizations hoping to boost their local SEO would also find it beneficial to utilize general SEO software or SEO service providers, which can help identify areas of improvement within a website. Local SEO reviews by real, verified users. Find unbiased ratings on user satisfaction, features, and price based on the most reviews available anywhere. Moz Local establishes rich location information on the directories, sites, apps, and aggregators that factor most into local search results. With tools to easily manage, optimize, and track listing data, plus key insights into local SEO performance, Moz Local helps you improve and prove the impact of your local marketing efforts. The result? When people search for your business, service, or product online, they find your listing and more easily convert to loyal customers. Yelp is a website and mobile app that connects people with great local businesses and business owners with their communities. BrightLocal is a specialized local marketing platform that helps marketing agencies, brands and businesses take control of their local marketing to boost their online visibility and get more customers. Our powerful software automates Reputation Management and provides detailed analysis of online marketing performance, including local search rankings, Google My Business optimization and local citation accuracy. Our expert Citation Builder service makes it easy to create and fix business listings (aka Citations) on over 1,400 sites, and broadcast business data across the web via data aggregators. We also help marketing agencies grow by converting more website visitors into leads with our Agency Lead Generator tool. gShift's industry leading Web Presence Analytics Software Platform helps brands and agencies efficiently understand and improve on the impact and engagement of content across its web presence. gShift is passionate about simplifying the lives of digital marketers and have built the Content Performance Cloud, a collaboration of modules and integrated technologies in one single sign-on platform. gShift delivers this data along with insights on influencer marketing, audience development and smart URL tracking for on-site and off-site content, enabling marketers to gain a deeper understanding of true content engagement and performance. With BrandBuilder®, our local marketing automation platform and ad builder solution, your local affiliates can market when, where and how they need to across multiple decision points and media channels - while preserving and strengthening the power of your brand. Local SEO software for Agency & Enterprise Google My Business management. The dbaPlatform will: + Automate and schedule Google Posts for franchise and multi-location brands, + Provide expanded reporting on Google My Business Insights data (using the Local Authority scoring method in addition to 12 months of GMB Insights history), + Automatically include unique, keyword-specific meta data as well as location-specific EXIF data with every photo published to Google My Business, + Leverage call-tracking technology via the inclusion of a location-specific local phone number for every location imported to sync with Google My Business, + Import the Google reviews for all locations into a single screen with the ability to respond to reviews, + Export all phone numbers and call data for a location to use in an opt-in bulk MMS or SMS campaign, + Sync location data to 50+ directory listings on the web automatically and ensure all duplicate listings have been suppressed. Bulk Update helps ensure your business is found in the right place at the right time. It distributes your listings to its vast network, who in turn publish them on local search sites, navigation devices, mobile apps, directory assistance services, and all of the leading Internet Yellow Page sites reaching millions of consumers. Express Update offers an easy way to get your local business listing to stand out. It sends it to the top search engines, leading car navigation systems, and local online directories reaching millions of consumers. The platform enables to build map based marketplaces like handyman services, location-based advertising, delivery shipment solutions with an optimized route and work assignment. The internet is an expensive place for a local business. Paid advertising, social media, web design. It adds up pretty quick. With Emodo Verification, advertisers can confirm the accuracy of location data used for mobile ads, audiences, and attribution. GetintheLoop is a digital marketing platform that connects businesses with consumers who enjoy saving at their local favorites. HYP3R is a location-based marketing platform that unlocks a treasure trove of powerful geosocial data. We work with innovative teams who believe in better marketing for businesses and consumers. With HYP3R, marketers can analyze consumer and competitive behavior on-location, engage customers in a delightful way, and acquire high-value customers through hyper-targeted campaigns. LeadsbyWeb.com provides local sales leads and customer prospects to local businesses. We eliminate this by providing a fully customizable intake form that is in the cloud. It’s simple and easy to fill out and you are alerted once they fill in all the required fields. Local SEO Services & Management Website: https://resosolutions.com/local-seo Turn local online searches into clients. Unlock the power of mobile marketing and drive more customers to your location. Reach more customers at key digital touch points, on multiple devices, with accurate and locally relevant information. Optimize and promote local presence so your business listing is more visible by submitting to strong sites like Google, Yelp, Apple Maps, Facebook and many more. mypresences.com is the best way to optimise and manage a business’s online presence & reputation and allows them to create, maintain and monitor a presence across over 2000 services that is correct, consistent and complete in a minimum of time and without the need to understand each service. As new business is increasingly found online, online presence and reputation is becoming as important as the storefront. mypresences.com allows a business to monitor and engage with everything that is posted online about their business such as Business Information, Reviews, Deals, Photos, Videos and Comments as it happens so that they can control their presence and what is being said so they can build a loyal customer base around their business. A bad review or inappropriate material posted about a business online can not only destroy their ability to find new customers but can push them to their competitors .. and for most businesses this damage goes unnoticed for months or years and will remain there forever. mypresences also helps businesses discover new opportunities online whether it be on the web or an app on a phone or tablet, so that they can create the most complete online presence possible and stay ahead of their competition. Unlike a real storefront, a business's online presence will grow and evolve without their involvement, mypresences.com allows them to take control of their online presence and start building their online storefront their way. Navads.eu is a local listings management platform developed and designed to improve the visibility of business locations in all digital maps globally, to ensure your target audience always finds your business. Navads offers businesses a complete solution that gets their retail locations listed on all digital map application providers globally, to amplify their local presence exponentially and help increase store traffic and sales. Navads’ core focus is on the improvement of location data that feeds the entire navigation eco-system and caters its services to Multi-Location companies and Media Agencies. Navads offers its clients functionalities such as Business Listings Management, Reputation Management, and Insights Reporting, which also includes a customized dashboard coming with all pricing packages. Navads’ vision is that an optimization of location presence in all digital maps and (voice) search engines, ensures a seamless customer experience which will drive in-store traffic coming from maps, navigation and search devices. 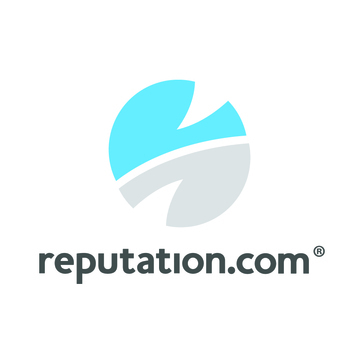 PlacesScout is the fastest solution for online reputation management. It integrates with top 21 review analytic sites. It displays what common people are saying about the business based on all the text of all reviews. Pulsate Locate is a location marketing solution that enables marketers to engage users based on their precise location. Private network for small businesses. what3words is a geocoding system for the simple communication of precise locations. Hi there! Can I help you find the best Local SEO solutions?